The cost to develop a new networked behavior has dropped dramatically: from 13 hours for networked pointers to just two hours for networked line drawing. Now we’re going to network our “clear screen” button and see if we can cut that time even further. 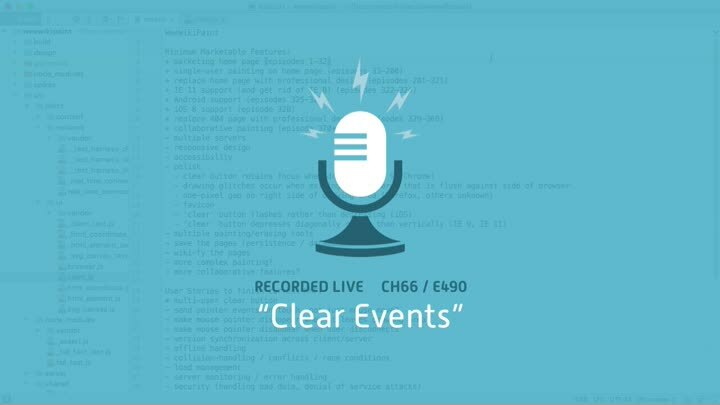 We start by creating the clear events.